Lol wait is that the mini pickup truck? They have raced Midgets lol. I found a video on Tsubaka of a one-make Midget race. Best Motoring at their best lmao. I really want to see if I can run an 8:10 in the Midget. I can guarantee you that car can do 8:10 on Tsukuba. Have you tested one and gotten an 8:10? I'm just joking here btw. And no I have no interest in driving that car unless it was for a funny video or something. I'm thinking a mid-range turbo would benefit the Midget more than the high-range turbo. 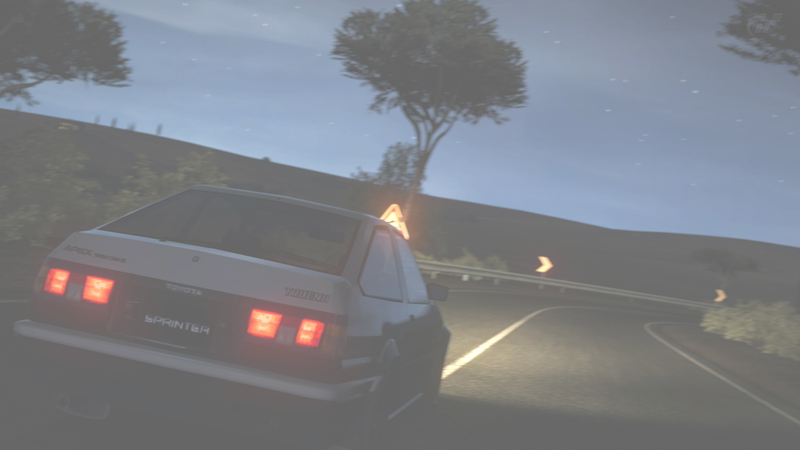 I remember in GT5 I had some 480pp civics that were terrible to drive with the big turbo but were excellent with the mid range one. Just like in Forza, if you can avoid having to install a bigger turbo to make more power then that's your best bet. Is GT6 still a thing? I get the feeling it's just as dead as FM4 but can't confirm. And we have 30+ people wanting to go at battles in a private converstation on GTPlanet. All on Nurburgring right? I'm still pissed at how PD lied to us about the Course Editor seriously it was my main reason to even buy it in the first place instead I got bored of it in 2 months. Yes, it's all on the 'Ring, but you can ask for a different course or type match-up if you want. Hell, I'm in the middle of a one-make battle with the Chaparral 2J. Someome else did a staggered race with the 2CV anfba third person has Red Bull fan cars lined up. Back on topic, though. The Midget definitely has the spirit of a racer, I just need to draw it out through the turbo and suspension. The last time I tried a Kei car, it was the Daihatsu OFC-1 and that car was running just over 8:10 per lap. Not to shoot you down or anything but is 8:10 on the 'Ring even a fast time? Like what's the average for that PP class? At 430, the fastest is a 7:56. My times average between 8:01 and 8:15. Update: Mid-range turbo boosts the Midget's PP higher than the high-range turbo, by 6 PP.